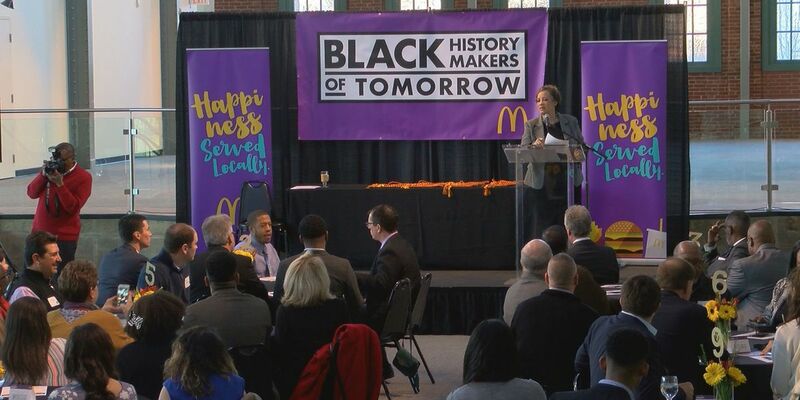 WAVE 3 News Anchor Dawne Gee emceed Wednesday's ceremony. LOUISVILLE, KY (WAVE) - A dozen high school seniors from Kentucky and Indiana can now call themselves Black History Makers of Tomorrow. A celebration Wednesday morning at the Kentucky Center for African American Heritage recognized the students for their leadership, character, academics and community service. McDonald’s offered a college scholarship to each student -- totaling $18,000. One young man from Jeffersonville said he wants to be a civil rights attorney.